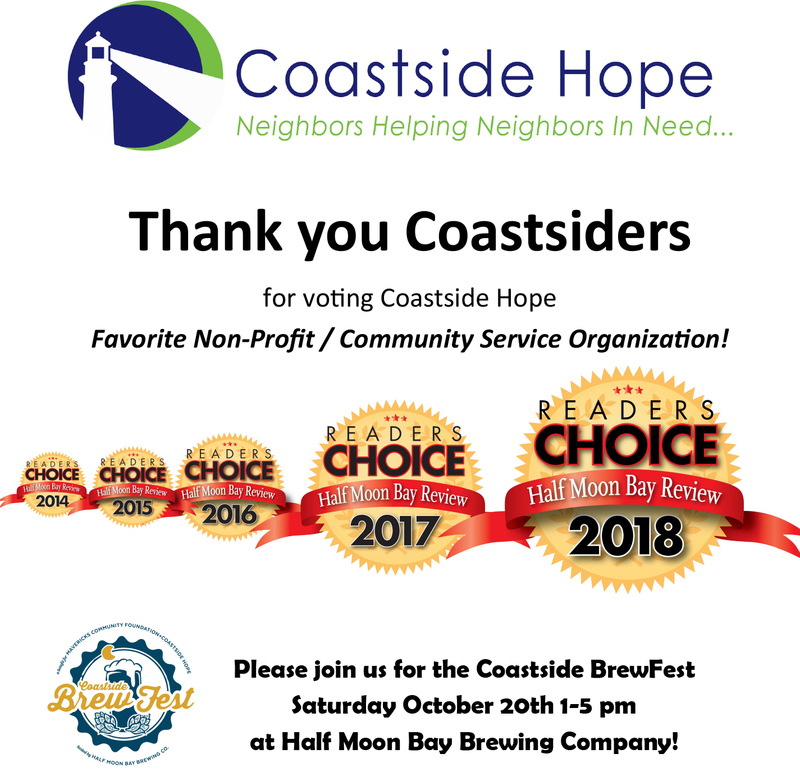 Thank you Coastsiders for voting Coastside Hope your 2018 favorite local non-profit. This annual Half Moon Bay Review poll of readers is a great way to find out what local restaurants to check out, what parks to visit, and what nonprofit your neighbors are proud to support. Thank you for the immense honor of choosing Coastside Hope to be your favorite non-profit five years running! With your support, we provided the basic necessities of life with dignity and hope to over 3,300 mid-coast residents last year. We couldn’t have done it without you, our volunteers, donors, and supporters. With your continuing kindness, we will be here to help every mid-coast resident who needs assistance. Thank you!! Tags: press. Bookmark the permalink.